There are so many people in our communities who want better employment and economic opportunities, yet continue to fall farther behind, either through lack of awareness of the career pathways and skills required, or a lack of connectivity to employers seeking candidates with those skills. This odd dichotomy between business owners who have good jobs, but cannot find the right talent, and people of color who have the desire for good jobs, but lack the access, is a big part of why I ultimately joined JumpStart. I’ve been able to work directly with diverse entrepreneurs to help them achieve their goals and create sustainable, good paying jobs. In my new role as JumpStart’s Director of The KeyBank Center for Technology, Innovation and Inclusive Growth, I am able to collaborate with (and fund) nonprofits across the state who help diverse and rural-based adults succeed in today’s workplace, while also helping businesses in these communities create and fill new jobs. 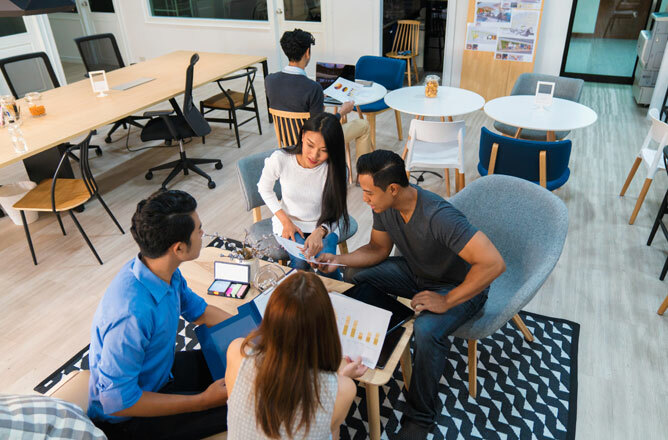 Here are four actions business owners can take today to build and retain the kind of diverse and inclusive teams that will thrive in the 21st century economy. Attracting and retaining diverse talent has major benefits to your bottom line, but wanting diversity and reducing the systemic barriers that stand in the way of that diversity require a more proactive and intentional approach. Luckily, there are local resources (some of whom we are helping to fund) who are eager to help in this process and looking for ways to leverage the expertise of local business owners. Make it a point to routinely and honestly self-assess your business climate, physical environment and cultural atmosphere to be sure you are truly creating an inclusive environment for diverse talent (women, people of color, LGBTQ, differently-abled, etc.) High employee engagement levels and low turnover positively impact cash flow. The local K-12 educational system is one of the best chances a community has for a strong and sustainable talent pipeline. An investment in this pipeline is a proactive investment not only in your community, but also in your future talent pool. The most innovative companies are building productive and collaborative relationships with their educational systems. JumpStart has already awarded $450,000 in grants across the state through the KeyBank Center for Technology, Innovation and Inclusive Growth — with more to come in 2019. Our ultimate goal is to connect women, people of color and those in rural communities all across Ohio with the kinds of opportunities that will allow them to break free from unemployment/underemployment and thrive in the 21st century economy.